The past month has been insane in my personal and family life. That’s messed with our gathering schedule all over the place. So this past Monday a couple of us were able to get together for the first time in a while. And then we turned from fears to dreaming. We began to ask the question, what if…? Back in April a few of us were at Catalyst West Coast and heard Donald Miller talk about a blog post he had written on the subject. Go check out the post here, and then read on. There is a story that we are writing along with God as a community. What are some of the “what ifs” that could help to unlock the exciting and meaningful chapters of our journey that lies ahead? We all got a 3×5 card and wrote down 5 “what ifs” for Missio Dei Community. We shared them with each other and put them on a whiteboard to get em out there so we can see what seems to stick over time. Here’s what we came up with as a group…some just for fun, some in progress, some way beyond our abilities, but not God’s. we get Dan & Katie to do triathlons? we never have a building? we met in some other space (bar, pub, unusual)? we had more people than space? we started a business in Santa Cruz? we gave away more than we kept? we shared our financial issues with each other? we impacted the community so much that people looked for us before we even invited them? we hosted a film festival? we started a separate non-profit to serve the community? we experienced true, loving, transparent accountability? There was definitely some discussion and unpacking of some of those. But that’s a glimpse into the heart of Missio Dei Community for you. We consistently had matching ideas and thoughts. Good to know the Spirit is working the same way in our hearts. It’s just exciting to think about the future and what God could have in store for us…and see what he is doing RIGHT NOW with us to prepare us for that. 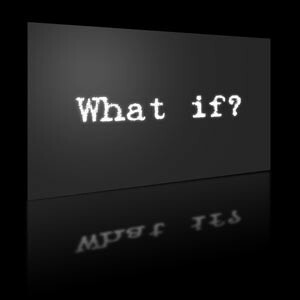 Specifically, we’d love to hear, what are some of the “what ifs” that you think could radically change your church for the better, if you attend one? Or if you don’t, what sort of questions would you want to see a community of faith asking to peak your interest?